DJ Earworm does it again! After that amazing mash-up of Annie Lennox's greatest hits, DJ Earworm squeezes the last few drops of summer out of the season with this totally sunny mash-up of Sean Kingston's recent hits. Using the original stems, DJ Earworm mixed up Kingston's chart-topping hits "Beautiful Girls," "Me Love," "D’yer Maker," and “Take You There" along with "I Can Feel It" from his last album "Sean Kingston," and bits of "Tomorrow" and "Face Drop" from his upcoming album "Tomorrow." "When his label approached me about mashing up his greatest hits, I knew I had all the raw material I would need to make an ultra hook-y mashup," Earworm explains on his web site. "And finding the actual words 'mash up' in 'Beautiful Girls' was just icing on the cake." You can download the mash up right here. Win a pair of tickets to meet and greet Sean Kingston in Toronto this Friday or Montreal on Saturday. Simply submit your contact information to enter into a drawing to win. Click here to enter. Preview it in the player below or download it here. DJ Paul V. figured Miss Brit Brit needed some gritty teeth, so he paired her up with Mr. Freakshow himself, Marilyn Manson. Listen to his mash up of Britney's "Womanizer" with Manson's "The Beautiful People." I love the new tribal quality for "Womanizer," but I'm not too fond of Mr. Manson's furious cameo. The beats blend nicely though. 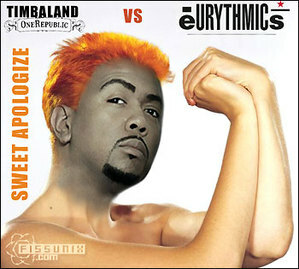 Who had known that The Eurythmics' "Sweet Dreams" goes along so well with Timbaland/One Republic's monsterhit "Apologize." It's like a generational clash of the titans and the result is pure dynamite. Produced by Fissunix. 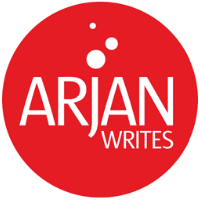 Learn more about him on his web site.